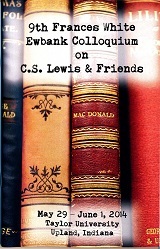 "It takes a confident man to write a biography on C. S. Lewis and then turn to me for comments." This is how Douglas Gresham begins his Foreword to my new biography titled A Life Observed: A Spiritual Biography of C. S. Lewis. Having Lewis's stepson look over my shoulder at what I had to say about his mother, father, stepfather, and even about Gresham himself was just one of the many exciting but terrifying moments in trying to create a new biography of Lewis. In this session, I will tell the steps of how my book came to be, with the hope the story itself will be interesting but also that it may help other potential authors navigate the waters of writing a successful book proposal, getting a contract, obtaining permissions, and working with a series of editors, artists, and marketing people. I will describe the parts that I found most difficult (and most tedious) and the aspects that were the most rewarding. Most people today rely on the Internet for quotations and their sources. While C.S. Lewis is frequently very quotable, there are many quotes attributed to him that he never wrote. This talk will present those quotes frequently falsely attributed to Lewis, provide proof that he never said them, and (where possible) show who wrote them. Examples are: "You don't have a soul. You are a Soul. You have a body," and "You are never too old to set another goal or dream a new dream." Additionally the talk will explore what these non-Lewis quotes say about a culture looking for answers without paying careful attention to sources. The proposed presentation would describe the origins and development of the first C.S. Lewis Society, formed in New York City in 1969. Along with detailing the society's growth over a period of 45 years, the talk will recount highlights from many "Lewis Weekends" held beginning in 1977, and the prominent speakers we have been honored to invite, including Own Barfield, Walter Hooper, Christopher Derrick, Cardinal Avery Dulles, Paul Holmer, Peter Kreeft, William Griffin, Christopher Mitchell, Louis Markos, Michael Ward, Charlie Star, and Will Vaus (among others!). The talk will also mention changes in the Society's publication, The Bulletin of the New York C.S. Lewis Society, and suggest ways for attendees to participate in our Society which includes subscribing members from all 50 United States and every continent in the world. The presentation would conclude with personal reflections on what factors help make a literary group or reading club successful.